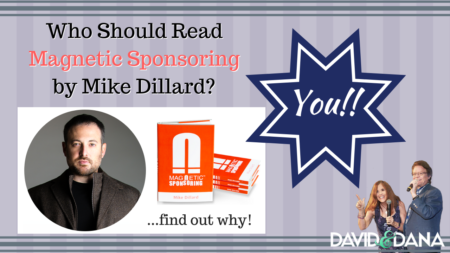 Unless you've already decided to buy Magnetic Sponsoring now, keep reading, and we’ll explain why we believe Mike Dillard wrote Magnetic Sponsoring for you. 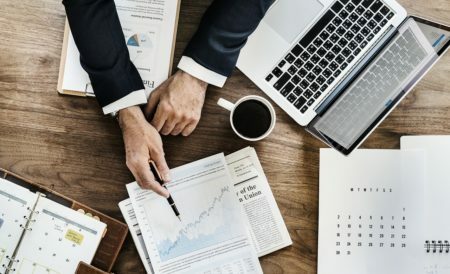 The strategies he writes about may seem familiar as they were first created in the traditional business world and are now implemented for us home business entrepreneurs. They will work whether you are just getting started or have been around the block in this home business industry. For a Free PDF of this Article, Click HERE. Have you ever heard of Attraction Marketing? Simply put, that is how you get distributors and customers coming to you instead of you running around trying to find them and lure them to you. Before we dig in to a summary of the content Mike Dillard covers, you might want to know a little bit about him. Mike is an introvert and pretty shy. We’ve seen him on stage, and I was amazed at how soft spoken he was. So refreshing to hear after so many marketers are so full of hype and enthusiasm. Mike Dillard’s enthusiasm is real, but it’s calm and believable. Mike started out broke, had tons of questions at first, and was a flyer-hanger back in the day — failing for six years. Then he found Attraction Marketing and in 18 months went from broke to making his first million. The rest is history! Magnetic Sponsoring grew into a publishing company that’s produced over $25 million dollars in revenue. Not too shabby! So, now you know why we wanted to read this book, and why every smart marketer should read this book. To begin, it's only 9 chapters and a really quick read. Be ready to take notes! Here are some chapter synopses from Magnetic Sponsoring to whet your appetite. In this chapter, Mike Dillard discusses at some length the basic concept of Attraction Marketing. How do you get people to contact and pursue you? Think about a television star or professional athlete. Why are people attracted to them? Human psychology is a key to Attraction Marketing. People will not join a business, they will join YOU. 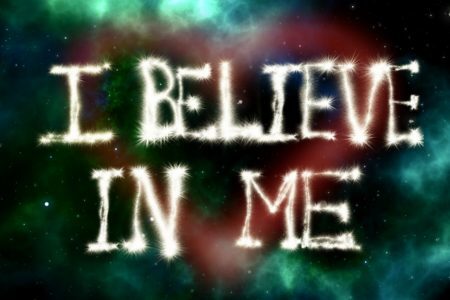 You need to become a leader, become valuable, believe in yourself and your opportunity. Mike Dillard goes on to explain the “Alpha” trait and why is so important for successful network marketers. Attraction Marketing skills can be learned. That’s the good news for all of us. Don’t look outside of yourself for results. You are the one who needs to become valuable by investing in yourself and your education. The more valuable you are, the more people will seek you. 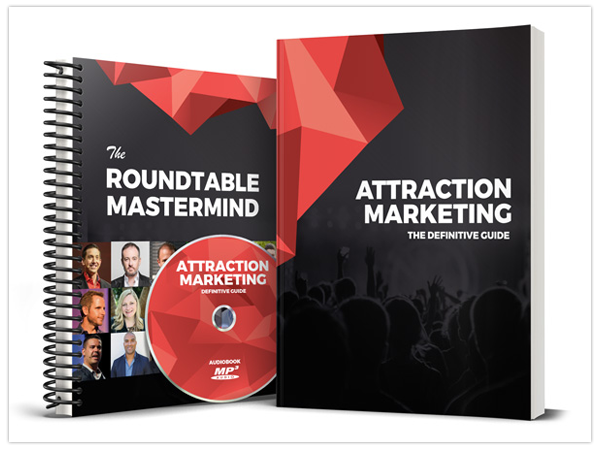 (That’s THE Attraction Marketing secret!) What do you have to share that will give someone something they don’t know? I­­f you’ve been in the business two weeks, you can help someone who is on day number 1. Don’t be afraid to spend some dollars. It will serve you well when you can be the one they are hunting to find. Mike Dillard explains what a real business is in terms of three important characteristics: (1) bigger than one product/company; (2) cannot disappear or be taken away; and (3) you control ownership and are a core asset. Take a moment to think about your situation, your business. Is it real? If it’s not, this chapter will help you turn yourself into “You, Inc.” Define your product and what you provide to the marketplace. Attraction Marketing works especially when you have “You, Inc.” in place. But many of us still have a network marketing business to promote as well. In this chapter of Magnetic Sponsoring, Mike Dillard talks about the difference between marketing and selling. When you learn the difference, you will see an increase in your sales and signups. People don’t buy products because they want the “product,” they buy because they want the result. For example: I don’t want a pan, I want to taste the food that I prepare because I have the pan. As marketers we need to create trust. When people trust you, they will follow you, and eventually the time will be right for them. So, build relationships and give them value. Most people getting started have a limited budget. Some people in the business for a long time have still not made a dime. 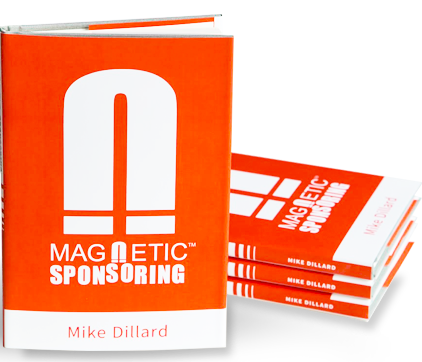 Mike Dillard describes a way you can fund your lead generation in this chapter of Magnetic Sponsoring. To this point, you’ve built trust with customers by exceeding their expectations. The last step is where you make your profit, by selling higher-ticket back-end products, continuing to provide exceptional value, and over time dropping only subtle teasers or clues about your opportunity. This way you gain business partners from your satisfied front-end customers, but only when they are ready and approach you for more information. In this chapter of Magnetic Sponsoring, Mike Dillard lets us in on one of the biggest secrets to successful advertising – to know your target market inside and out. Afterall, you are only going to advertise to them. Not the whole world, just them. 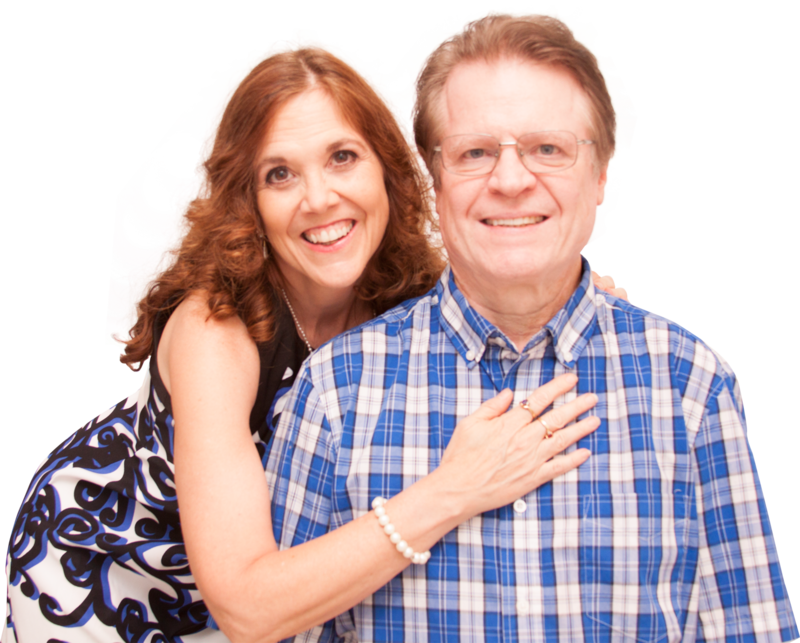 Mike Dillard also suggests that network marketers are your best prospects because they are usually what he calls “opportunity buyers.” Not only will they buy your products as customers, they may in time see your opportunity as one they would be interested in. Next, Mike Dillard gets specific — describing the best ways to advertise to this audience. Attraction Marketing principles are at work here again. You’re starting to notice a pattern of the beauty of bringing people to you, and now what to do with them when they start coming to you. Again, Mike Dillard teaches about giving value to attract your followers. 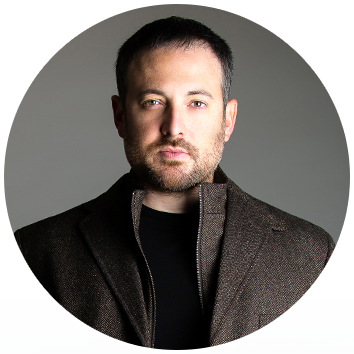 He includes pointers for good email headlines and the use of interviews with other experts when you’re not there yet. You want people to remember you for value, good stories, and consistency over time. Ideally, good copywriting persuades in such a way that your customers don’t even realize they are being “sold.” If you’ve ever wondered why you’re not getting many clicks, look at the copywriting on your capture page. Mike Dillard gives you some great tips for this. Again, the Attraction Marketing principles of giving the customer what they want or fulfilling a need will be key to creating good copy. One take away I have is to read other people’s copy, particularly leaders you admire. Study it. Take note at what grabs you. 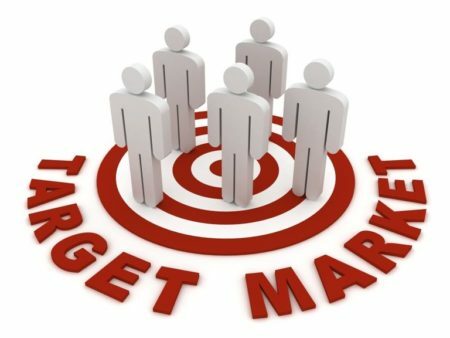 If it grabs you and your target audience is anything like you, you will get more people looking at you. This chapter also contains Mike Dillard’s Step-By-Step Copywriting Guide. It’s good stuff. This chapter of Magnetic Sponsoring by Mike Dillard made me smile. When you become a professional, you will have learned to take the emotion out of it. Instead of jumping up and down after a sale and taking the family out for a night on the town to celebrate, you will be calm. Just another day at the office. — If you don’t let the highs affect you, on the flip side you won’t allow the lows to affect you either. Mike Dillard considers it “critically important to create a foundation of values for you and your business right from the start.” In fact, he suggests 15 core values, including: (1) forget about the money and the money will come; (2) always deliver what you promised, and on time; (3) be authentic; (4) deliver 10 times more value than the price; (5) never make a decision based on money; (6) always make decisions for the long-term; (7) when you screw up (because you will), admit it and apologize; (8) provide the best customer service possible; (9) Say “thank you” sincerely and often; (10) stick to your guns. To learn #11-15 and so much more, we encourage you to read Magnetic Sponsoring for yourself. We certainly learned a lot about Attraction Marketing from Mike Dillard’s book, Magnetic Sponsoring. We highly recommend it for all online marketers. Mike Dillard said it so simply, “Your future will be the result of decisions and actions you take today.” Think about that. Let that truth sink in just a bit. You have all that you need already inside you to succeed. Mike Dillard’s book really opened our eyes and put the whole idea of Attraction Marketing into perspective. Get your very own copy of Magnetic Sponsoring HERE. If you know of other marketers who can benefit from this article, please share it with them. If you have an a-ha moment from the article or book, please share with us in the comments. Maybe you even want to pick up an extra copy or two for the next business partners you recruit.